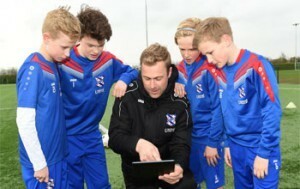 The Pro Soccer Planner method is a complete age specific youth development curriculum in the age of 5 to 19 years old. Coaches and players work side by side on concrete objectives. Players develop and improve while enjoying the game. The players experience more fun in the game and develop to their potential. Coaches don’t have to worry about the content and can focus on coaching. Plus: within the club and associations vision, curriculum and overall development are guaranteed. Therefore, there is continuity, even if coaches alternate. The PSP method turns Youth Soccer into Youth Development. The Pro Soccer Planner method is built on four pillars. The soccer method provides coaches with a curriculum, ready-to-use training sessions, and hundreds of exercises. All sessions are developed from practice; which support do coaches need if they are on the field? We work closely with youth coaches. The method covers all topics: technical, tactical, physical and mental. The topics start from the youngest groups all the way up to the oldest groups. In the youngest age groups, the emphasis is on technical basic skills. In the older teams it moves to physical and mental development. The soccer method provides a continuous learning process from 5 to 19 years old. Coaches work with permanent annual plans to concrete targets for any age. They coach their players during the season aimed at these goals and objectives. So the players develop and improve step by step to their potential. 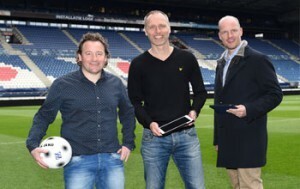 The soccer method is completely digital with an app for all platforms. 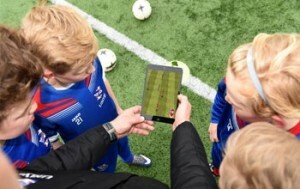 The app supports coaches on the field with exercises, clips and animations. The method is continuously in development. By regular updates the coaches always have the latest version.